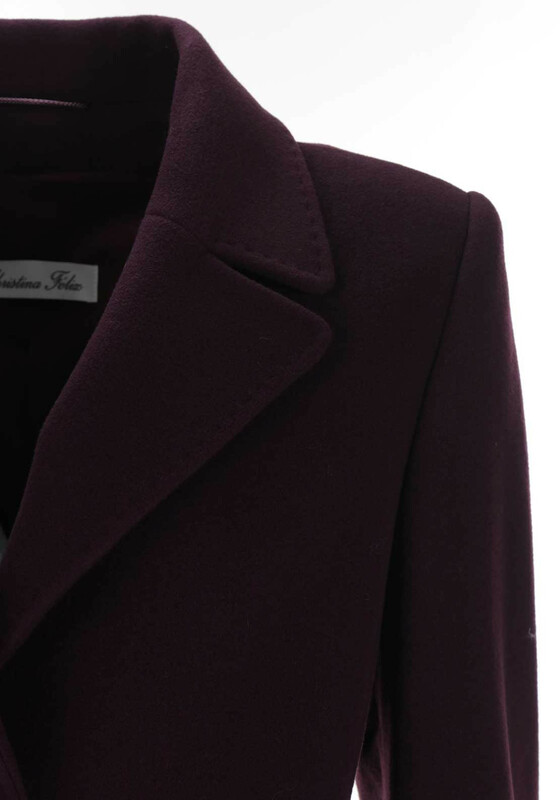 Presented in a rich plum shade, this smart coat from Christina Felix would be an elegant choice to wear over a work outfit or as a warm layer for an evening function. 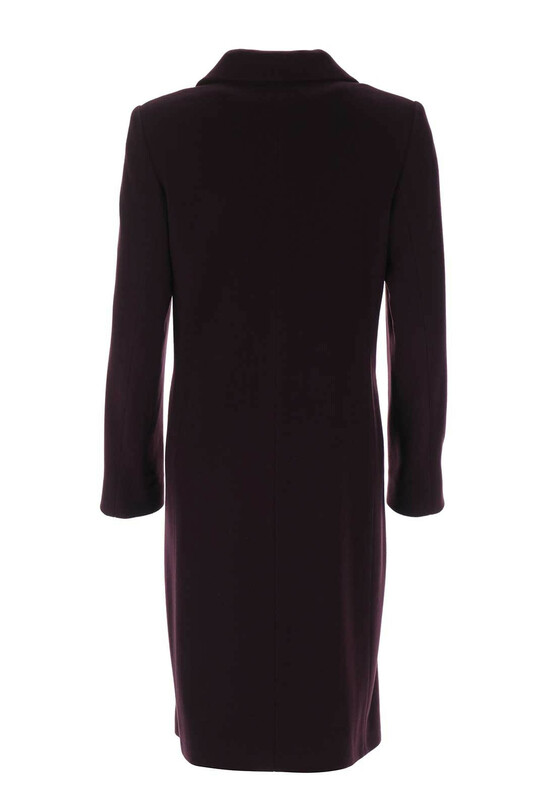 Crafted from wool and cashmere blend fabric which is soft and comfortable against the skin. 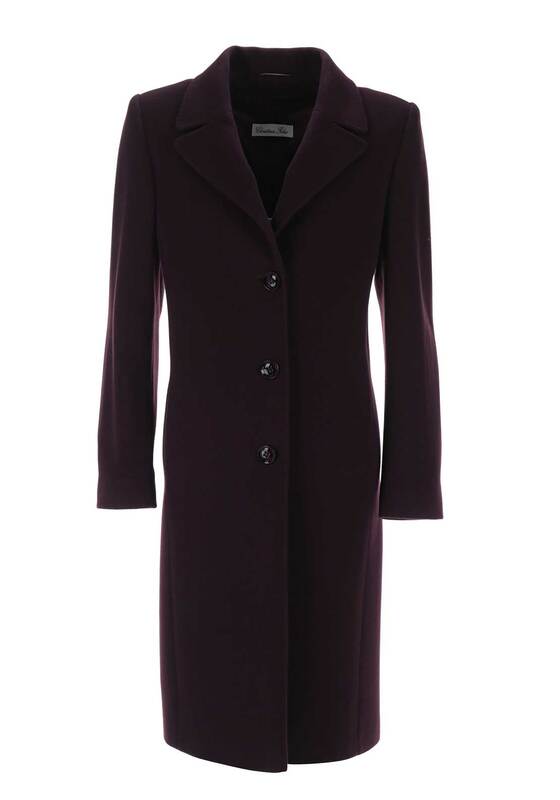 Designed with a feminine shape and featuring a turn down collar, front pockets and buttons.